For its first edition, Music Showcase Greece was a unique opportunity for Greek bands and international music professionals and promoters to network and share experiences. Taking place across four days in the beautiful and lively city of Thessaloniki, Northern Greece, MSG Festival was divided into concerts and a one-day conference, aiming to introduce the contemporary Greek sound to the international audience, as well as to develop a vital network of music representatives. There are two types of music festivals. Typical commercial festivals aim to please the audience. Showcase festivals aim to serve the musicians. They are the place where creative minds meet the professionals who help keep the show on the road. Of 66 bands who applied for the chance to play before major international festival directors, promoters, booking agents and journalists attending Music Showcase Greece, 21 acts were chosen to present their music in various venues of the city – Principal Club Theatre, T.S.S.O. Rehearsal & Concert Hall, Aigli Geni Hamam and WE. IOTAPHI: The duo of Ilia Darlin and Francesco IX, who have just released their debut EP, Kloudland, were the last who took to the stage of Aigli Geni Hamam. Ilia Darling has perfected a performative style like no other in the local music industry. Arriving in a glittery, fairy-like dress to a series of dark electro rhythms, Ilia gradually shed her layers as she shuffled into a hypnotic and futuristic goth-pop that took a mystical turn with the use of the traditional organ of santouri, creating a perfectly orchestrated musical chaos. DAPHNE & THE FUZZ : Imagine a blend Sophie Ellis-Bextor and Pet Shop Boys — that’s what Daphne & The Fuzz are about. Their sophomore album, 2 AM, released earlier this year is a perfect combination of dance-pop and electro-pop. Having an absolutely enjoyable, gutsy, varied and vital recorded material, it came as no surprise that by the beginning of the first song, “Pawnshop”, the audience was instantly swept away with Daphne Lazou’s bouncy, fun-loving pop and brashly optimistic electro. WOLFY FUNK PROJECT : Fronted by MC Yinka, the much loved and sweat-shod eccentric singer who put on a real heart on the show, the 11-year old musical collective from Athens took to the stage of WE venue on the third day of the showcase festival. Combining traditional soul-funk with hip-hop elements, and focusing in songs from their latest EP, Mindtrap, the band’s performance was a super-impassioned and intense party! 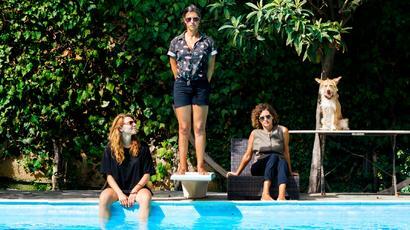 MARY’S FLOWER SUPERHEAD: Astonishingly, the 3-member alternative rock band from Thessaloniki has been around for a decade (and it’s been eight years since their intense gig in Europavox Festival! ), and yet, it’s like nothing’s changed. 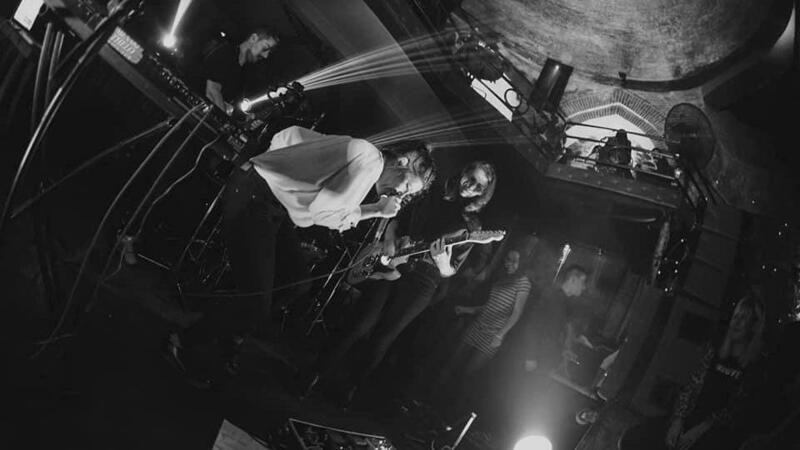 Their setlist was mainly comprised of songs from their fourth album, Wealth (2018), delivering the post-punk energetic vibe and the less-is-more dynamic of their newest release on stage. 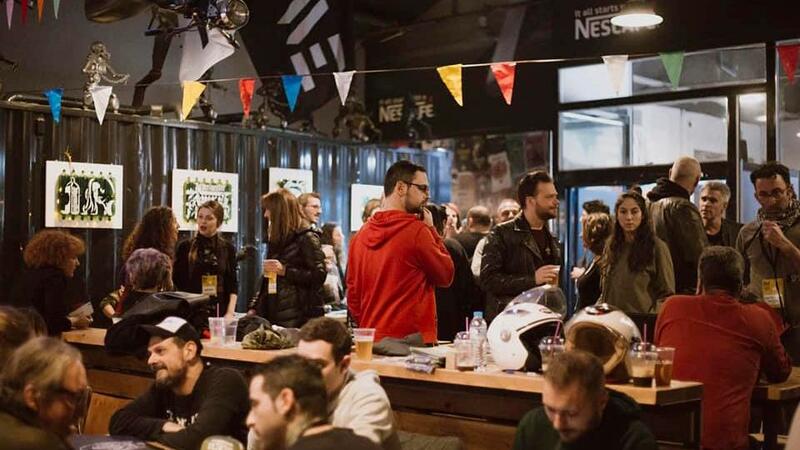 On the third day of Music Showcase Greece, a B2B Meeting was held at the WE venue where bands had the opportunity to meet face-to-face and talk with concert promoters and professionals from the international music industry, aiming at networking and maybe even collaborating. It was nicely organized and quite effective for some bands that are already booked to play abroad. 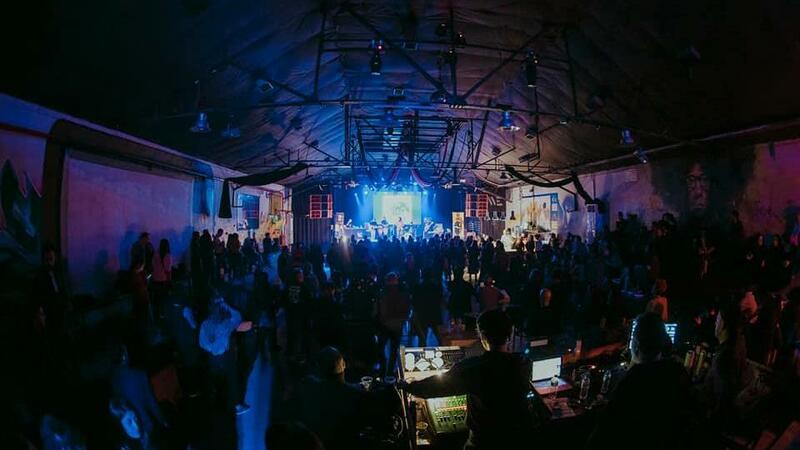 But the true gem of the festival was the high-standard international conference, which was held on the fourth and last day of MSG at Warehouse D in Thessaloniki’s port. With a free entrance and also with the presence of the bands, that was the place for the music professionals to share openly their experience and insight on myriad of topics, including campaign strategies for universal export, copyright and artists management, technologies and trends about global music, including Q&A sessions with the audience. There has been a boom of showcase festivals and affiliated music conferences over the past years. One can easily see that many of these events have sprung up since around mid 00s. This phenomenon has to do with the transformation of the music industry in the digital age: as the recorded music sector lost significance, industry events driven by live music naturally became more important. As we all know, no matter how much music industry changes, live music will never fade away. The importance of such conferences lies in the fact that it is THE place for the hard and real talk. We all know stories of bands getting noticed or signed at a showcase festival, while others are struck wondering how they can get a single person to come to their gig, or even how they can get their music noticed. So, according to speakers of MSG Conference, here are some basic tips to make the best out of a showcase festival. If you have a band you should first get a picture of the event you want to play at, either by visiting first or — if that is impossible — at least check out how it functions, as well as target the right people in advance of your performance onstage. You cannot be a hip-hop artist submitting for an indie festival. Narrow your search and settle on a few target festivals that you would like to play. In other words, do your homework. A lot of bands, even their managers, hope that by getting a slot at an event something will happen out of it. But that is not the way this works. A gig at a showcase festival must always be part of a larger strategy that includes one-year preparation, tour and media activities. If the package is right, the festival can turn out to be very effective. If all of that is missing, it doesn’t make sense to just play a show and head back home. Any career plan will fail if the music isn’t good. Success over the long term is reserved for talented musicians only. So, what is your material? Have you worked hard on it? What is your musical ID? Originality, songwriting skills, technical abilities and overall artistry, all these things matter when a festival chooses its line-up. Play your original material and choose your very best songs. Don’t play any covers, unless you choose only one to include in your setlist; but in such case it must be 100% yours and already tested in your previous gigs that the audience really likes it. This is your one and only chance to shake hands with people who are otherwise very hard to reach and present them your music. Do the groundwork of building your stage show first and have your stage presence on lock — this is something that only comes with practice. You need to take yourself seriously if you want the music industry to respect you.